Most filmmakers understand the cinematic power of a shot with an extreme angle, but what happens when you use standard composition and natural camera level for your shot selections? We’re going to discuss the eye level shot and go over which emotions are generated with this particular camera angle, and show examples of how an eye level shot can ground your characters and connect your viewer. Eye level is somewhat self-descriptive, but there is still some nuance to what eye level means, and how it is actually used in film production. What is an eye level shot? An eye level shot refers to when the level of your camera is placed at the same height as the eyes of the characters in your frame. An eye level camera angle does not require the viewer to see the eyes of the actor, nor does the actor need to look directly into the camera for a shot to be considered eye level. Eye level shots simulate standard human vision and thus present visual information through a familiar viewpoint. The difference between an eye level and shoulder level shot is determined by the middle portion of the frame because the position of the lens iris determines the level of your shot more accurately than the base of your camera body. You may have the base of your camera in line with an actor’s shoulder, but the iris of your camera will be level with the eyes of the actor. Why do directors use eye level shots? Dissolve the barrier between viewer and story. Humanize their characters with a neutral camera angle. Simulate standard human vision and familiar composition. Let’s take a look at a few scenes and sequences that used eye level shots effectively, and how there are many opportunities for eye level shots. Here you will see scenes that used eye level shots for a specific purpose. Often, directors will use shoulder or hip level angles to slightly empower characters, so an eye level shot is less common than you may think. In this scene, the filmmakers use a ton of different camera levels and compositions to generate emotions within the viewer. This scene makes effective use of various angles and shot compositions, and it uses the eye level shot that has great impact. 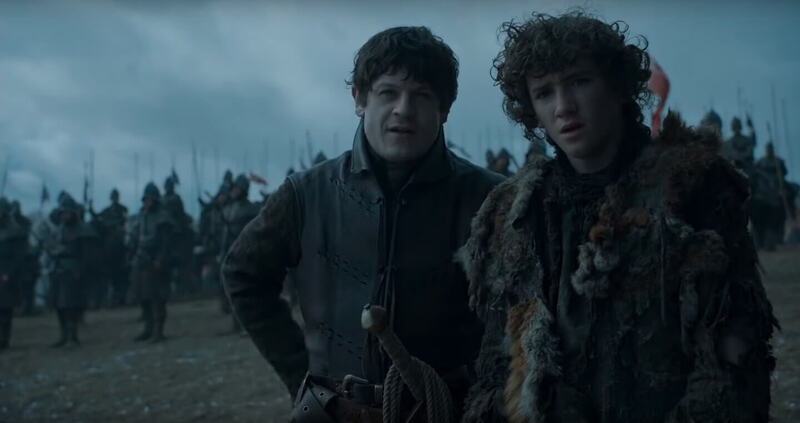 When Jon Snow realizes Ramsay has his brother on the end of a rope, the filmmakers use this high angle shot to diminish Jon’s power. 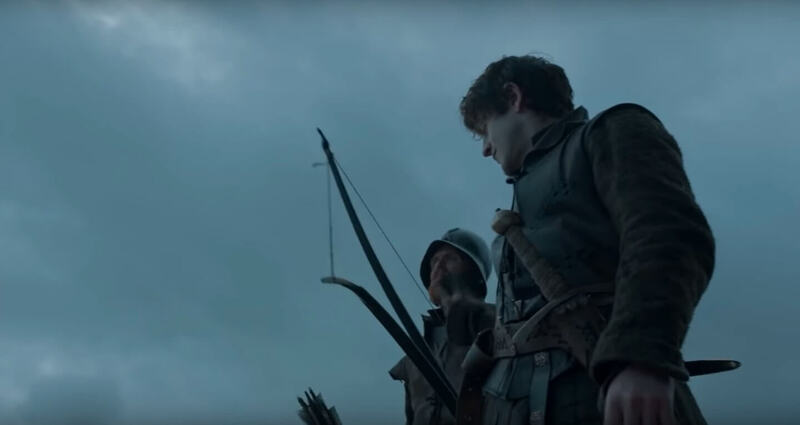 Ramsay has the upper hand, and thus the filmmakers use a slightly low camera angle to empower his position within the conflict. 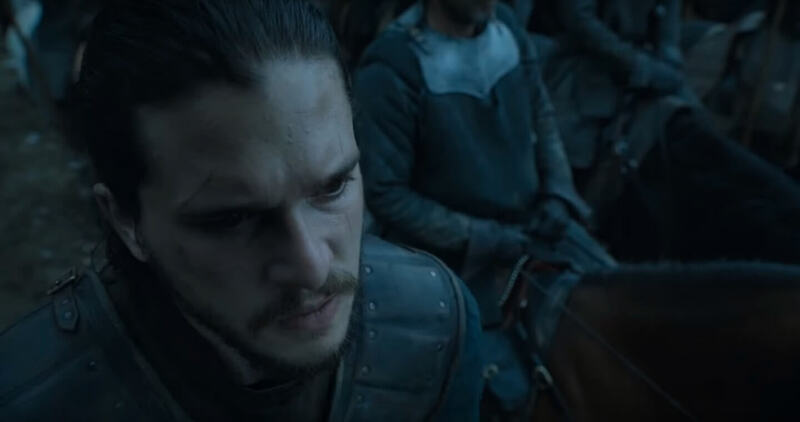 Jon quickly steps down from his horse and into a close up that is somewhere between eye and shoulder level. His eyes are closer to the middle of the frame than his shoulders, so this is an eye level shot. 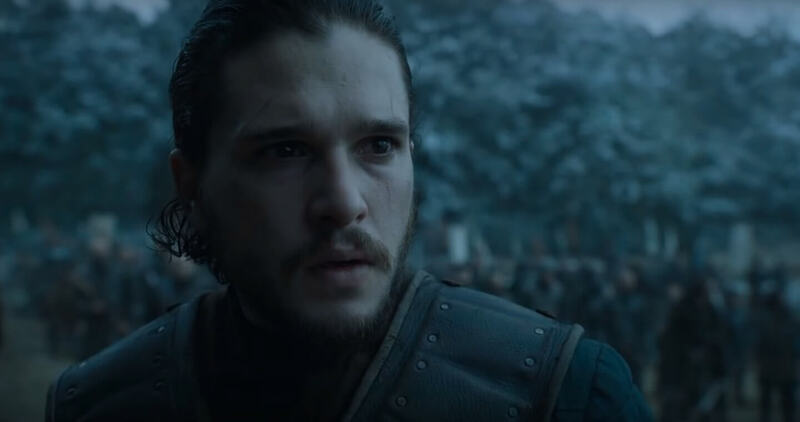 Jon’s concern and emotions are very human at this moment, especially when dealing with someone who is so psychologically inhuman. The filmmakers then further empower Ramsay when he removes his bow. The filmmakers use a slight dutch angle paired with a low angle. This cinematic language empowers, but also informs us that this is a villain. When you create your shot list, you should have the ability to indicate that your shot needs to be set at eye level. You will be able to identify these key moments in your script and mark them for your future shot list. When you use an eye level shot, you can contrast it with other angles to gain much more of an impact. It doesn’t have to be a battle scene either. How about this introduction sequence from American Psycho? Here we are introduced to the film's protagonist, but there is no external conflict present. In fact, this is where Director Mary Harron reveals Patrick’s internal conflict, but we need to connect with his thoughts. It seems simple enough, but there are many ways to present a character like this in these introductory moments, so the decision to use eye level is something very much intentional. Even with the death stare and accompanying narration, we are placed in a situation where we are asked to sympathize and possibly even empathize with the character during a candid and vulnerable moment. The filmmakers use this a lot in this film, and while they don't want you to justify or rationalize Patrick’s behavior, they do want you to understand it. When your character is doing something almost superhuman, why not contrast that notion in a way that suggests we’re all capable of such feats. There ought to be no such thing as a regular shot because regular filmmaking is boring. Even your eye level shots should have thoughtful application because they are just as powerful as any other shot level. ​There ought to be no such thing as a regular shot because regular filmmaking is boring. Even your eye level shots should have thoughtful application because they are just as powerful as any other shot level. So which emotions are generated by an eye level shot? Well, there are many because it’s all dependent on the surrounding imagery and placement within the story. Generally, eye level shots connect you to the emotions of the character on screen, so whichever emotions they are feeling, hopefully so will you. Even during moments that are uncomfortable and questionable? Especially during moments that are uncomfortable and questionable. WARNING: This next scene has some language and concepts that are not safe for a work environment, but it’s a great scene with true conflict. I want you to watch and listen very carefully. How did watching that scene make you feel? Do you hate the father? Do you feel like Ed Norton? Imagine how you’d feel during this scene if the father was framed from a high angle or maybe even a dutch angle. Would you thoughtfully contemplate his words and the impact they have on both his son and society? Would you be so informed by the cinematic language used that you didn’t have to listen? Is it as fair or... dare I say equal? If your goal is to welcome society into a conversation with a controversial topic, is it more mature and effective to use earnest and neutral shot choices rather than hyper-dynamic camera angles? Do we judge less and contemplate more? All of the characters in American History X are complex and layered, and that, paired with great acting and thoughtful directing, make up the reasons why it is such a revolutionary film. They used the eye level shot in a way that is far from standard. Now you understand how and when you can use a eye level shot to generate a number of different emotions and connect the viewer to your character with great and earnest impact. Continue your research by checking out our post on The Wide Shot: Camera Movements Angles to find out how wide shots can be used effectively in your next project.